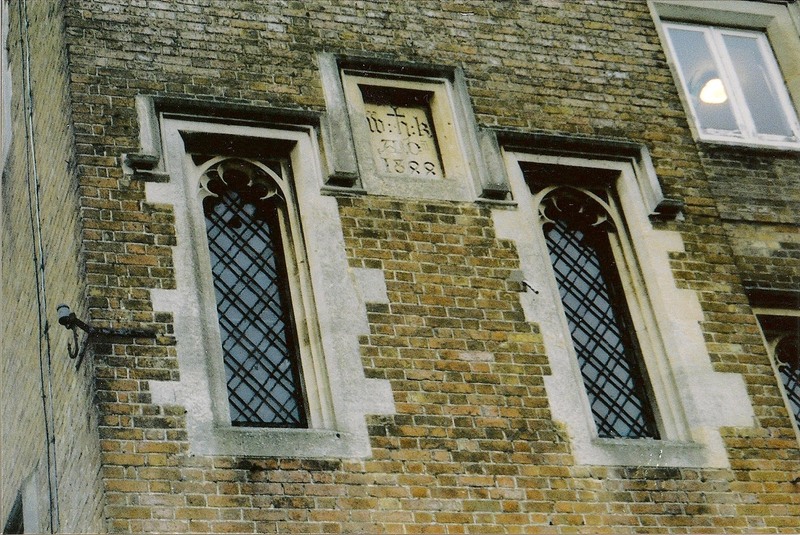 Where was Beaumonts Manor near Fleetville? Where students now walk along South Drive, carriages were once driven to Oaklands Mansion. To enable the Mansion to be built a previous structure, standing since the 15th century, was razed. Further along the road a small farmhouse, now converted, is the only reminder of a tiny farm. Views across the fields towards Oaklands Mansion are limited. Top: the pub building was completed in 1963 and built on the site of the original customers' car park. 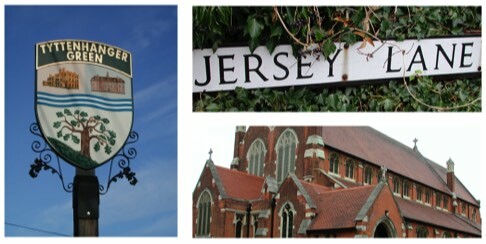 Middle: The original sign was designed by Frederick Juniper for Whitbread. Bottom: The pub's current name now that the owning company is Greene King. Partly on the site of the present Oaklands Mansion stood a small hamlet known as Three Houses. 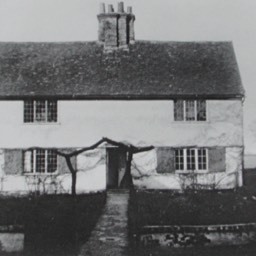 The earliest record found for Threehousfeldland was in a fourteenth century court book, in connection with its tenant, a Mr Aylward. 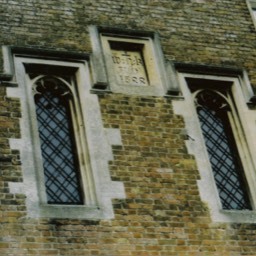 In the 16th century the property passed to Sir Richard Lee, Commander to Henry VIII, whose home was in St Albans. Not that he lived at Three Houses, but a tenant of his, Thomas Vaughan, certainly did. We know so little about Three Houses, except that the most recent map which marks the property, the Dury & Andrews map of 1766, shows a recognisably domestic building, perhaps a farm homestead, on one side of a square. The remaining buildings may have been barns lining the remaining sides. Early in the 19th century a start was made in demolishing these structures to enable a larger replacement, which would later become Oaklands Mansion. 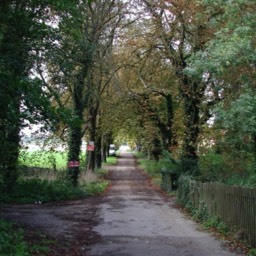 For all of its history the access from the Hatfield road was via a straight track aligned south-west to north-east. 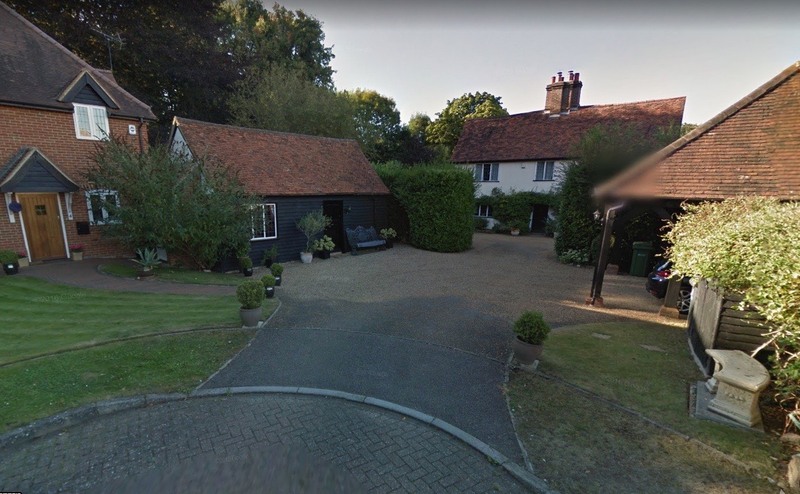 A London based distiller, John William Knight, purchased that part of Oak Farm south of Sandpit Lane, as well as Three Houses, its recently constructed addition, and the farmland surrounding the property. As with many distillers, Mr Knight's wealth came from the sale of gin to the population of London. 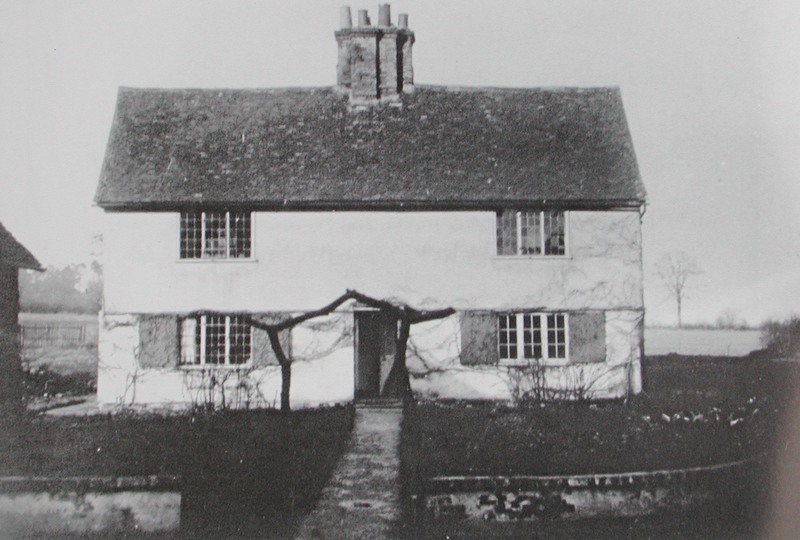 Mr Knight had a bigger house, possibly an extension to the recent building, commissioned by John C Butler who specialised in the building and restoration of country houses. During the next fifty years several additions were made to the Mansion, not all of them architecturally in harmony. 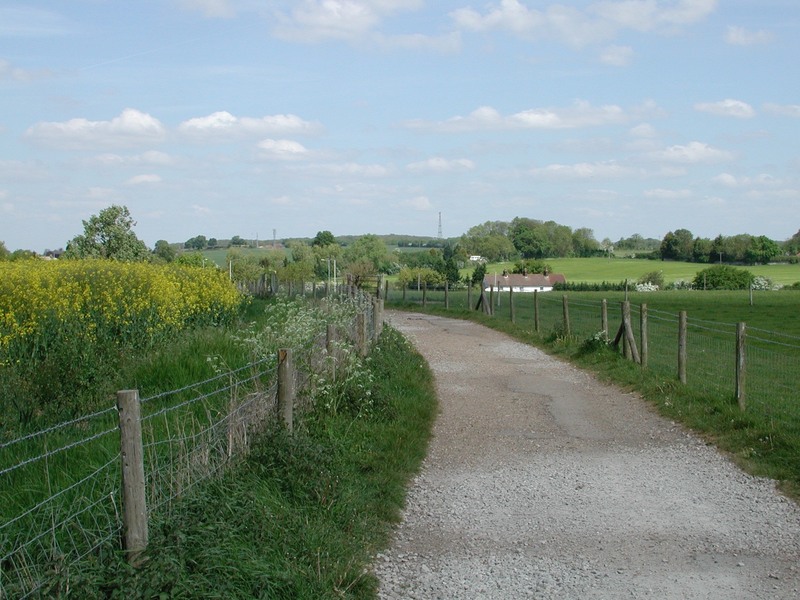 In addition to the original straight access track or drive from the Hatfield road, two more were laid; eastwards to Oaklands Lane and northwards to Sandpit Lane. Only the east and south drives were protected by lodges, and the south drive was reshaped in the form of a curved route towards the Mansion. Following John William Knight's death in 1847 the property was acquired by another distiller, Charles Dymoke Green from Bedfordshire, and then from 1899 a retired Manchester cotton magnate, Graham Fish. 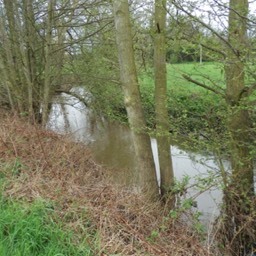 The latter also purchased adjacent Beaumonts Farm, for sale at the same time. During the First World War the property was requisitioned by the War Office and used as a training camp for large numbers of soldiers before their onward dispatch to the Front. As a result of their movements nearby Smallford Station became very busy. Later in the war Italian troops were billeted in the Mansion and they were put to work of tree clearance, both on the estate and on the roadways. Oaklands was sold to Hertfordshire County Council in 1920 and the site developed using the existing buildings, for Hertfordshire Agricultural Institute. It had been the idea of Daniel Crawford of Birchwood Farm, Hatfield. Although through its time much money had been invested in agricultural facilities, accommodation for students, administration and staff facilities all lagged far behind requirements. Nevertheless the Institute, later renamed Oaklands Agricultural College, developed a high reputation for its research. 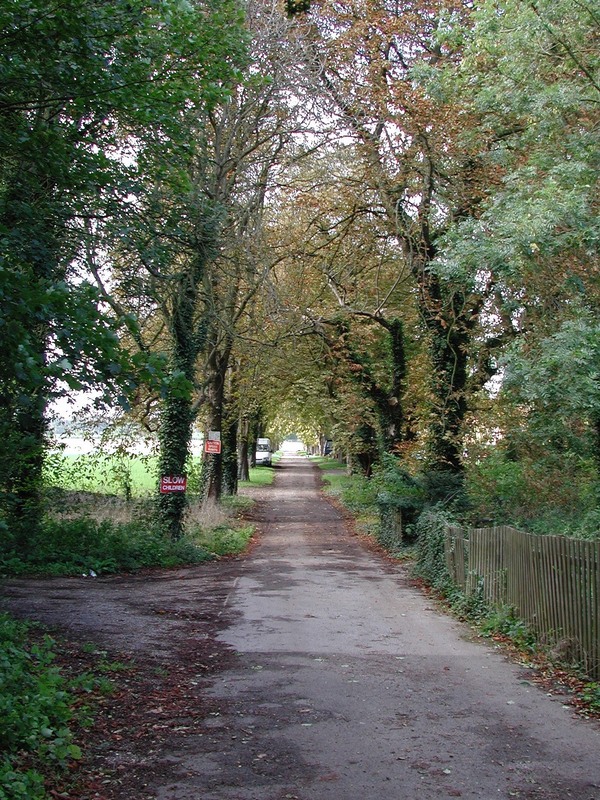 Winches Farm no longer exists, although the former homestead is part of Winches Farm Drive residential development. 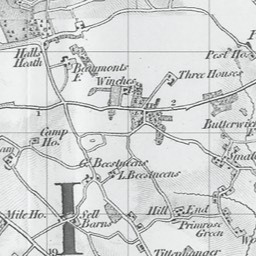 A mini farm of just three fields plus Winches Lane, which was owned by the Gape family. 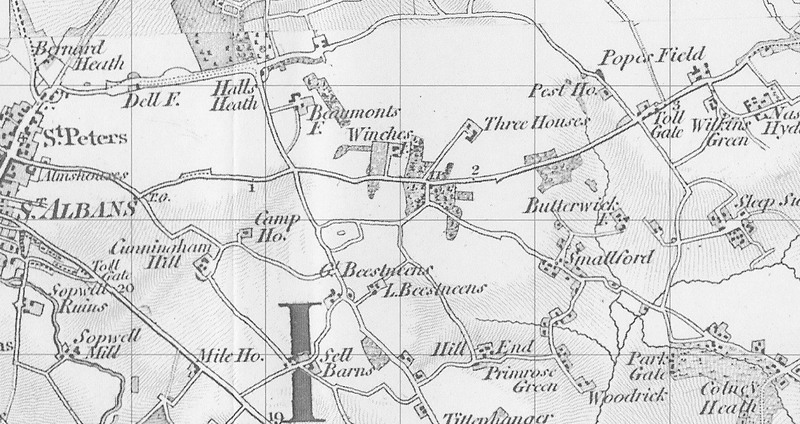 First located on the Dury & Andrews 1766 map it is likely to have been of similar age to other farms nearby with records extending back to the 14th or 15th century. The Gape family began to sell some of its properties and land in the 1920s. Winches at a very modest 12 acres was offered for sale in 1924. 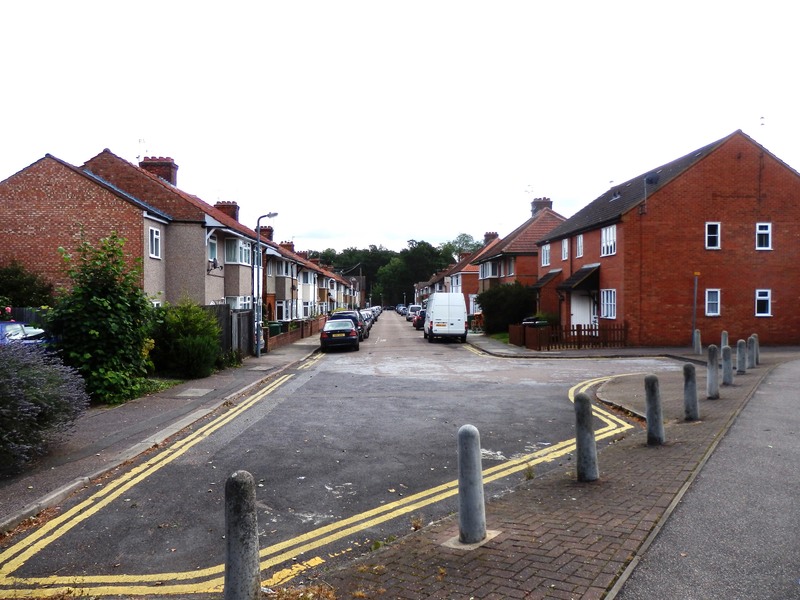 Six hundred feet of the field fronting Hatfield Road was transformed into a parade of shops and a number of semi-detached homes, behind which were further homes forming Wynchlands Crescent. 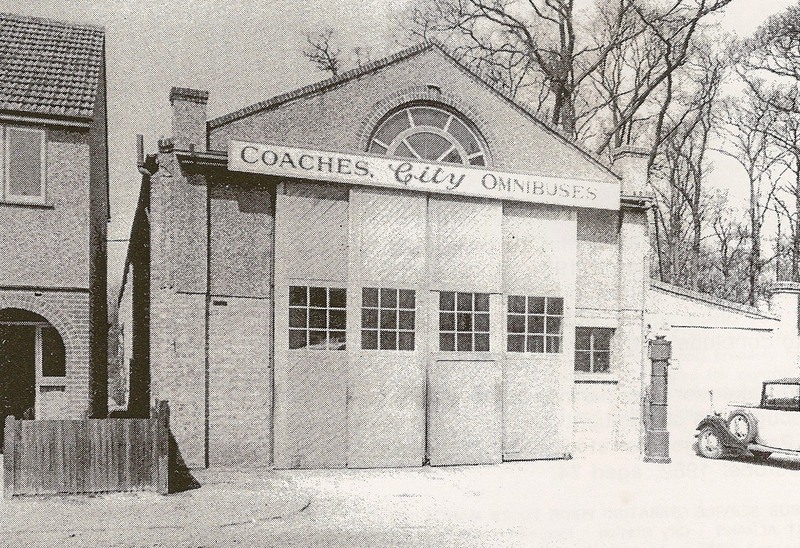 At the eastern end of the Crescent was constructed a small bus garage for the City bus company run by Messrs Flowers & Etches; their families lived in adjacent houses next door to their business premises. City was taken over by London Transport in 1933. 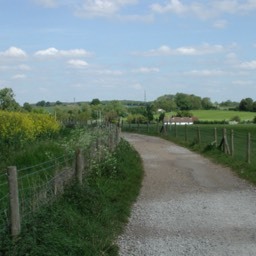 The back field, paddock and homestead was taken on by the London School of Hygiene and Tropical Medicine, under the name Winches Farm Field Station. One of the station's key projects in the 1950s was the discovery of an effective treatment for one of the main Water-borne tropical diseases, bilharzia. Few local people were aware of the experimental work which was carried out at Winches. The Hatfield Road end of Winches Lane, now Winches Farm Drive, was flanked by a pair of mirrored shop buildings, of which only the eastern building remains. The demolished one was, for many years, an electrician's premises and was very much part of the retail parade. Today that building has been replaced by a modern terraced known as Glenbower Court. 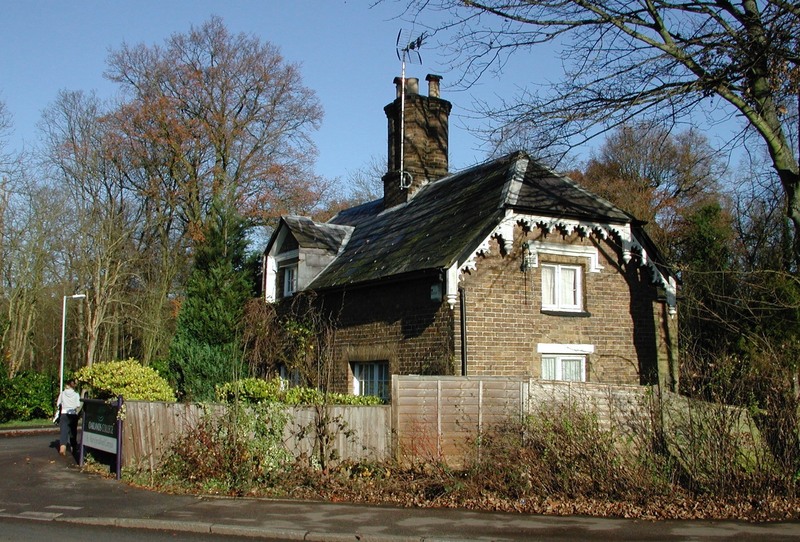 The former experimental station has also been developed into a small residential development called Winches Farm Drive, and the original farm homestead is tucked away and part of the estate. The eastern-most plot of the 1930s Beaumonts development is today really part of the mini hub of Oaklands. 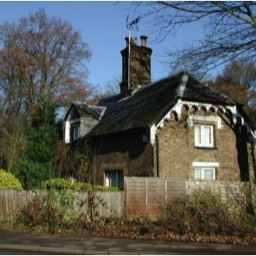 Houses had been intended from Oakwood Drive as far as Winches, but the final house completed in 1940, when all housing was stopped, was number 365. 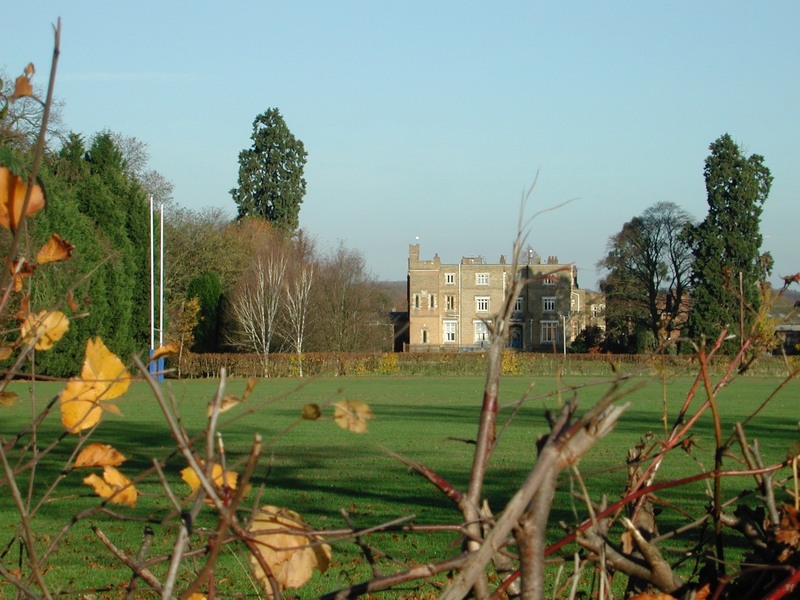 After the war the County Council purchased the remaining plots to extend the existing playing field of Beaumont School. 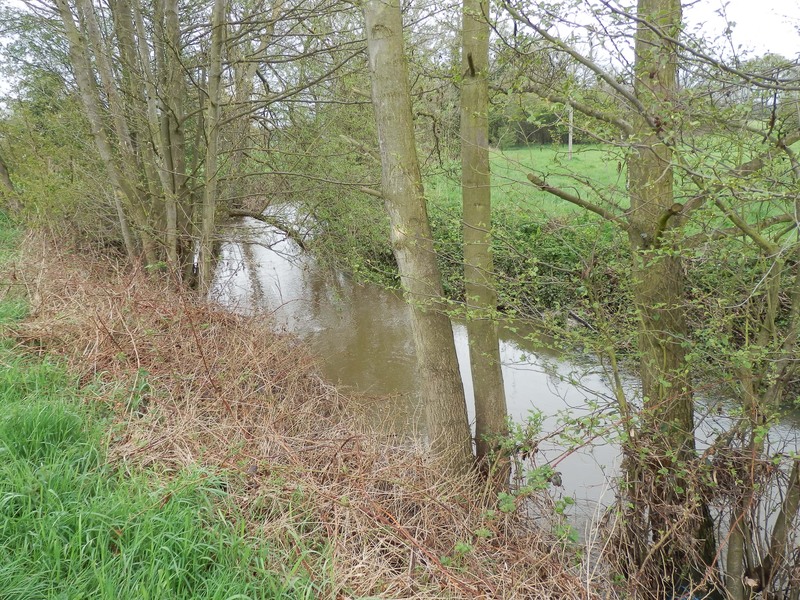 This left a small piece of land acquired by the brewing business of Whitbread. 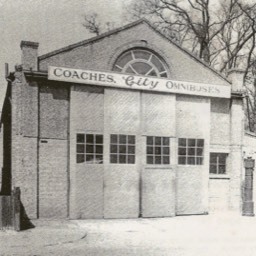 The company received a public house licence in 1948 to serve the Oaklands district. 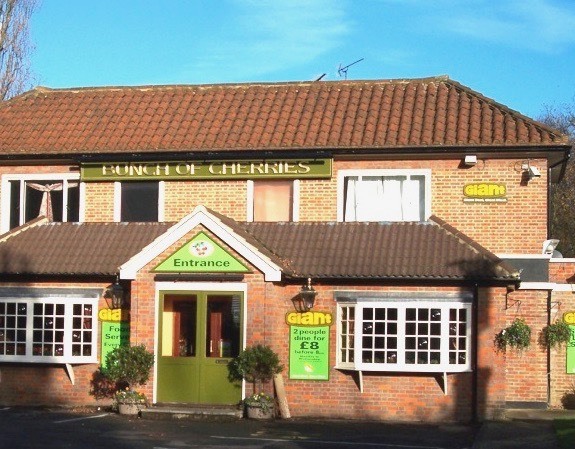 It chose the unique name among English pubs: the Bunch of Cherries, after the cherry orchard which was behind the plot and lined Winches Farm Drive. Unfortunately building licences were not available in 1948, which prompted Whitbread to purchase a pair of timber building site huts, which were remodelled into two inter-connected bars, but a proper cellar had been excavated first. 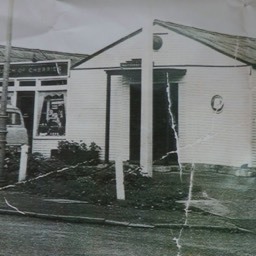 The current building was erected behind the temporary pub in 1963. The huts were removed for further use as local scout headquarters huts. 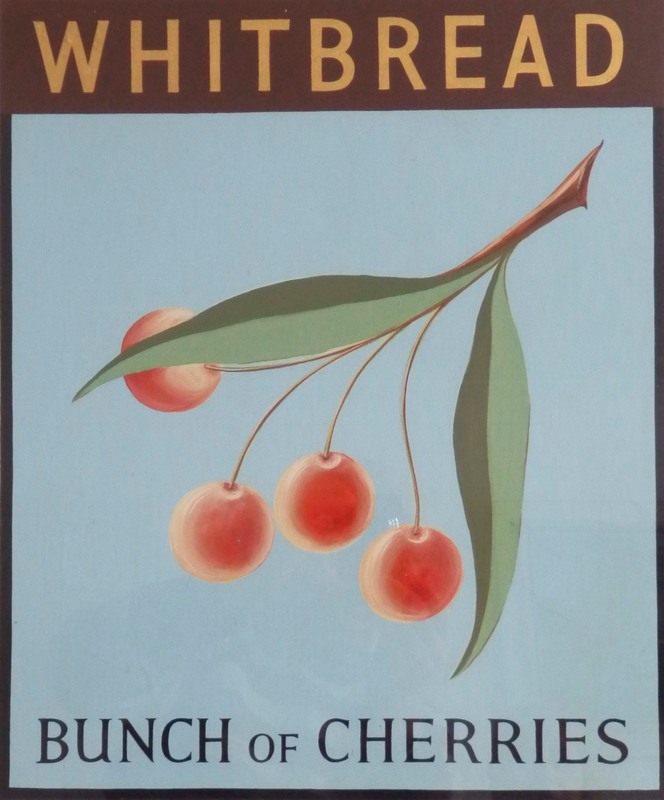 When Whitbread sold the pub to Greene King, the name was surrendered with it. 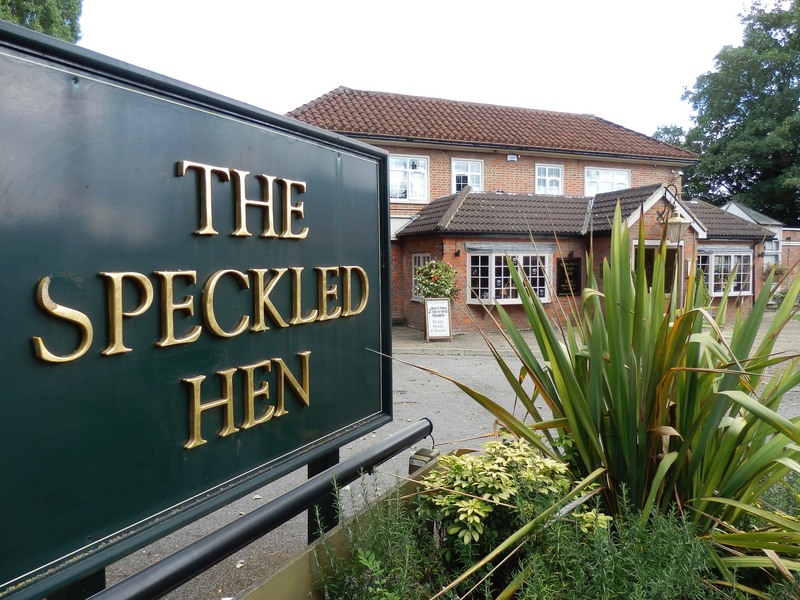 Thus the name now on the frontage is the Speckled Hen, after one of GK's well-known brands. 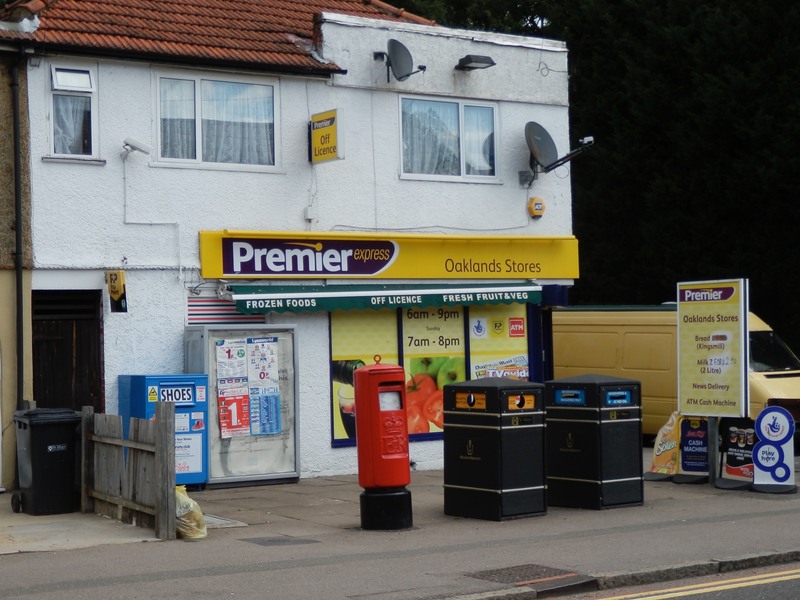 Twelve shops were constructed in the main parade, followed by twelve homes; and on the eastern corner with Wynchlands Crescent, a further shop always known as Oaklands Stores. There has always been a wide range of retail offerings, a range which changed little for the first fifty years, except for their owners. From west to east was an electrician (not part of the continuous parade and now replaced by Glenbower Court), butcher, fruiterer, cafe (converted early into a footwear shop), fish, confectioner, hairdresser, tailor and wool merchant, dresses, wines, upholstery, electric appliances. Today, in the same sequence: pet grooming, gents hairdresser, cafe, estate agent, fish & chips, taxi base, empty, empty, Chinese restaurant, wines, cafe/restaurant. 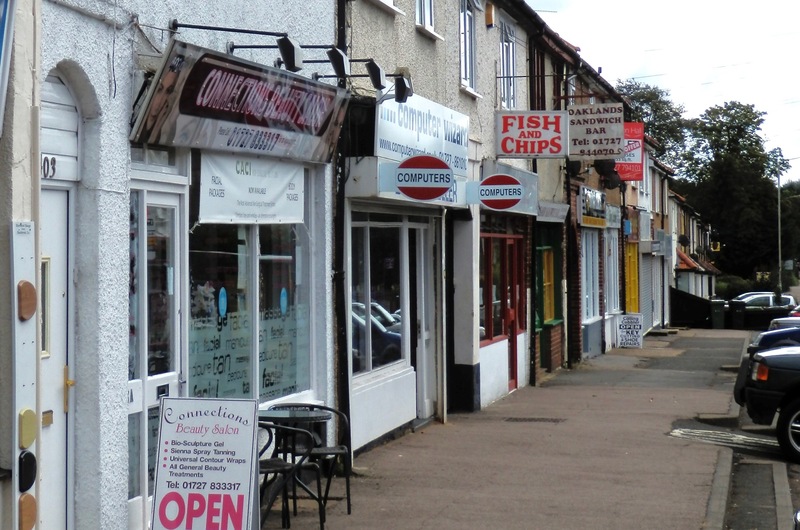 A contemporary view of Winchlands Parade. 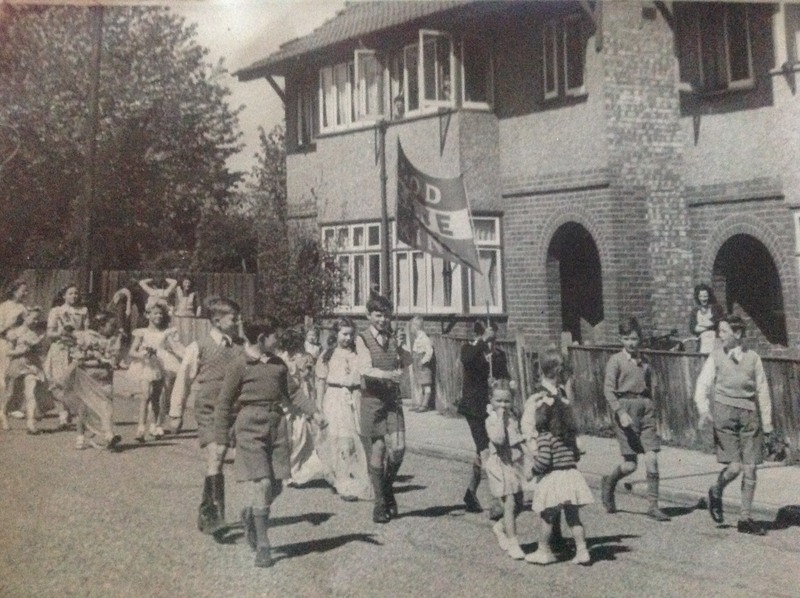 Street party celebrations Wynchlands Crescent 1945. Courtesy Stewart West. The needs of the occupants of the big house were met by walled-in kitchen gardens, well-stocked with standard and wall fruit trees of the choicest varieties, including cherries, apricots, peaches, pears, apples, nuts and the reputed largest fig trees in Hertfordshire. L F Clift, Institute student 1921.